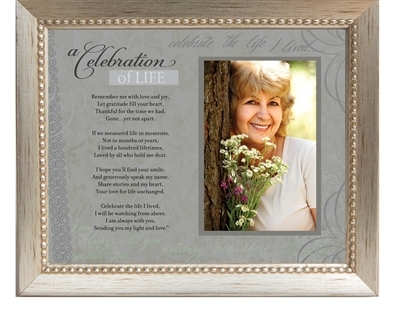 8x10 frame includes Celebration of Life poem and space for 3.5x5 or 4x6 photograph. 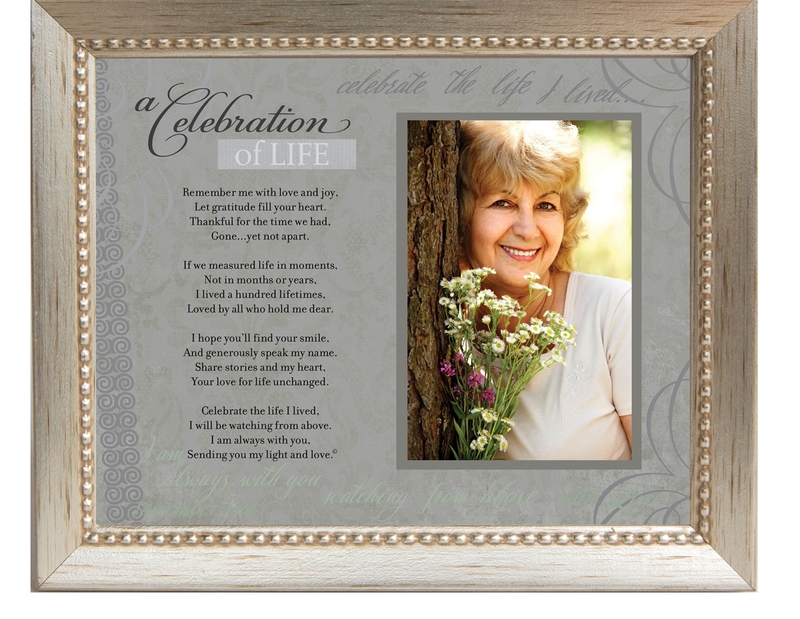 A thoughtful memorial frame for a grieving friend or family member who wants to celebrate and remember their lost loved one. Select white, silver or black frame. You may also like our Celebration of Life Pewter coin, the perfect gift for family members. See item 6303.